Spring seems to be inching its way into Upstate New York a little more each day. Later sunsets mean more time after work to hop on the bike and get a good training ride in while there is still sunlight. If you’re like me, it quickly becomes apparent that with increased training volume, it translates to less time for meal prepping, cooking, and spending quality time with the family. 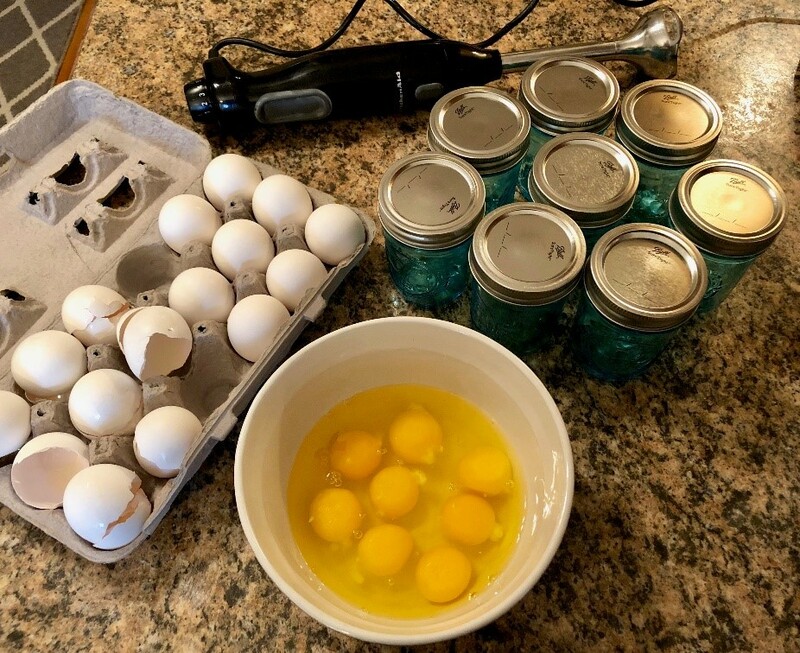 I’ve found with some quick and easy recipes and a little planning, you can spend less time worrying about what to make and more time in the saddle training for your Farm to Fork Fondo. In this series I will sharing some of my quick “grab-n-go” essential recipes, using ingredients made our Featured Farms or found in your local grocery store. Great food starts with great ingredients—farms on the Farm to Fork Fondo rides are a great resource! I hope you will try some of the recipes together with me and remember—eating healthy doesn’t have to be hard! For this recipe I used an Instant Pot pressure cooker, but you could also use a large pot with a lid to steam the jars as well. First step is to fill you pressure cooker or pot with a shallow amount of water about 1 inch and turn to STEAM mode or put on a low flame. In a sauté pan add the slices of bacon to crisp, while they are cooking, finely dice the yellow onion. Once the bacon is crisp remove from the pan and roughly chop, retaining the rendered fat. To that same pan, add the diced onion to lightly sweat uncovered for 5-8 minutes on low heat, stirring frequently as to not brown. Then remove from heat and let cool. In a blender or food processor, combine all the eggs, cheese, milk, salt, pepper until smooth. Add the mixture to a pourable vessel and add the chopped bacon and sweated onion. Spray the jars with a touch of the coconut oil spray and fill the jars to just leaving about a little room at the top. Screw on the tops and lids and close to finger tightness-if the lids are too tight, the air pressure can’t release and the jars can shatter while cooking. Arrange the jars in the pressure cooker or in your pot. Using the STEAM mode on the pressure cooker cook for 8 minutes with the lid closed. Let the cooker cool down naturally before opening. If cooking on stove top turn burner on high-and steam for 30 mins with the lid shut, again letting it cool down naturally before opening. You can eat directly from the jar or put into the refrigerator to cool. To reheat, removed the lid and microwave on HIGH to warm. You have protein filled breakfast or snack ready to go!